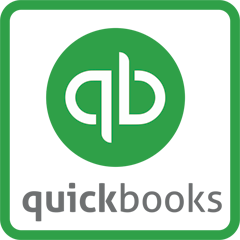 QuickBooks for small business owners is recognized as an industry leader in accounting software, helping you keep track of bookkeeping, inventory, payroll, expenses, sales, and more. QuickBooks not only provides easy ways to manage accounting, it also offers marketing solutions, real-time reporting, year-to-year comparisons, data tracking functions, and more. 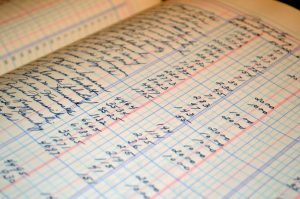 QuickBooks should be at the top of the list for business owners and those seeking to upskill their accounting resumes of programs to learn and understand how they function. One of the first steps to learning QuickBooks is to understand the different program levels and available versions of the program. QuickBooks offers both an online and desktop version of their program, as well as different membership levels depending on what features you want the program to have. Fees: Quickbooks online offers a free 30-day trial period; while the desktop software must be purchased before use. Desktop has a one-time upfront cost, but the online version has different monthly pricing levels depending on use and needs. The desktop version may include upgrade costs to meet your business’s complete needs. Determine what your QuickBooks will need to do and how you or your business will be using the software before deciding. Access: QuickBooks online is a cloud-based software, meaning as long as you have a good internet connection, you can access your books anywhere, anytime. QuickBooks desktop, on the other hand, is only available on the computers it is installed on. Program Functions: The basic functions of QuickBooks online vs. desktop are the same in terms of invoicing, accounts payable and receivable, and so on, but the online version actually provides more included features than desktop. Compare the features of each here. Support: The online version of QuickBooks comes with free support; the standard desktop version does not have included support unless you upgrade to the Pro Plus edition. Customizability: Both the online and desktop version of QuickBooks offer some degree of customizability. However, if your business must account for calculating and rebilling of job costs or needs to calculate discounts by customer, the desktop version is the only of of the two that can currently do so at this time. Security: If you want to keep your data off the cloud and only in your office, the desktop version may be best for your business. Simplicity: If your business has a fixed office location and only needs to give access to a handful of users, desktop might right for you. Costs: To avoid the monthly recurring fee, desktop is the only answer. Custom Features: If your business needs to include customer discounts or complex job costing, the desktop version is a better choice. Remote Access: If you need to access your books at any point, anywhere, the online version is better able to meet this need. Multiple Users: If your books need to be accessed by multiple people at the same time, the online version is better able to handle this. Support: If easy-to-access support is important for your business, the online version provides more support options. Features: The online version offers more included features for users in terms of automation, applications, and the like. Regardless if you decide to utilize the online or desktop version of QuickBooks, having a deep understanding how the program functions is valuable for your small business or accounting career. If you’re ready to learn more about QuickBooks and it’s features and how to effectively use it, consider taking a course at the Digital Workshop Center. We offer classes for both the online and desktop version in a group setting or in a one-on-one basis in Fort Collins and Denver, Colorado. By joining us for our QuickBooks classes, business owners will learn the skills you need to successfully manage your small business accounting, how to optimize both the online or desktop QuickBooks versions, generate critical business reports. Applicants will learn the skills necessary to succeed in an bookkeeping or accounting job. Learn more about the QuickBooks classes offered at the Digital Workshop Center and register today!